In the digital age where everything is instant, the old ways of sending important documents have in many cases been replaced by new ones. A prime example is the use of email instead of fax. 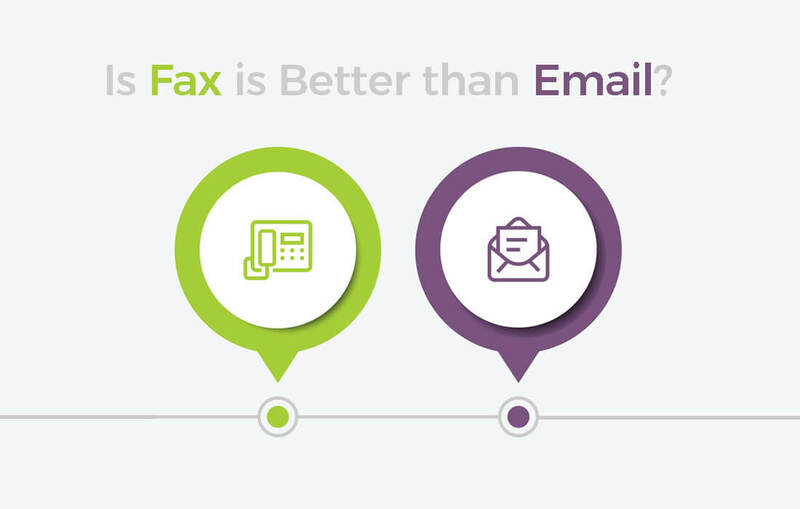 While email is widely preferred and far more prominent, is it better than fax? In many cases yes, it is. But there’s a good reason why email has not killed the fax – the reverse can also be true. In today’s post, we’ll discuss some scenarios in which fax is better than email! Everyone knows how email works. You type up a message, add a recipient and click send. You can do it from your computer or a smartphone in seconds. Before email became the primary means to send documents, fax machines were used to send documents quickly between two distant locations. The machine works by reproducing the document faxed to another machine on a different location with the use of paper and toner. Today however, the process can be much faster and completed without a fax line or machine. Services like FaxBurner, which has its own application, can send and receive faxes from a smartphone as well. Is fax better than email for a quickly typed message? No. But where documents, especially official and signed documents, are concerned here’s where fax often has an edge. When you have a signed document or something that only exists in hard copy, it’s easiest to send a fax, as you only have to place the document in the machine and send it to your receiver by pressing a few keys. Out it comes printed and signed. However, with email, you have to go through the tedious process of scanning the document first, editing the scanned image and saving it on your mobile or desktop, and then composing and attaching the email. The recipient then has to print it as well. Sending sensitive or highly confidential documents is better sent through fax. As the transmission of the document only involves a phone network and the physical document, it is received directly by the recipient with less risk of interception. Though secure email sending is available, it can be more of a process to setup. There’s also always the risk of malware and spyware on the sending or receiving end. The common practice of phishing and hacking has made computer security a challenge for individuals and businesses alike. Most of us receive dozens or even a hundred emails per day. That can make documents and correspondence a challenge to find. Anyone who has ever searched through email for an older exchange knows the feeling. When using an application such as FaxBurner, faxes are automatically archived in the cloud (as well as sent to email). Rather than having to search through an email inbox for an old document, all of your faxes are conveniently organized so you always know where to look. Sending in confidential medical information is highly preferred by medical professionals to be transmitted through fax. Under the Health Insurance Portability and Accountability ACT (HIPAA), the privacy of individually identifiable health information should be protected and the same health information should be securely held or transferred in electronic form. As a result, faxing is often preferred over email when it comes to HIPAA compliance. What happens after we type an email and hit send? Most of the time, who knows?? While email tracking does exist, most of us don’t have it. We don’t know when our emails are received or if they’re opened (unless we get a reply). With faxing, on the other hand, we are far more likely to know when a fax does not go through. We can also get confirmation when it has. There are a whole lot of reasons to prefer email over faxing. And for quick notes and messages it’s a no-brainer (texting, of course, is another great option). But faxing has it’s advantages as well. That’s why it’s still so often used and even preferred in some industries and situations – especially when official documents are involved.